Looking for a way to help ring in the New Year? 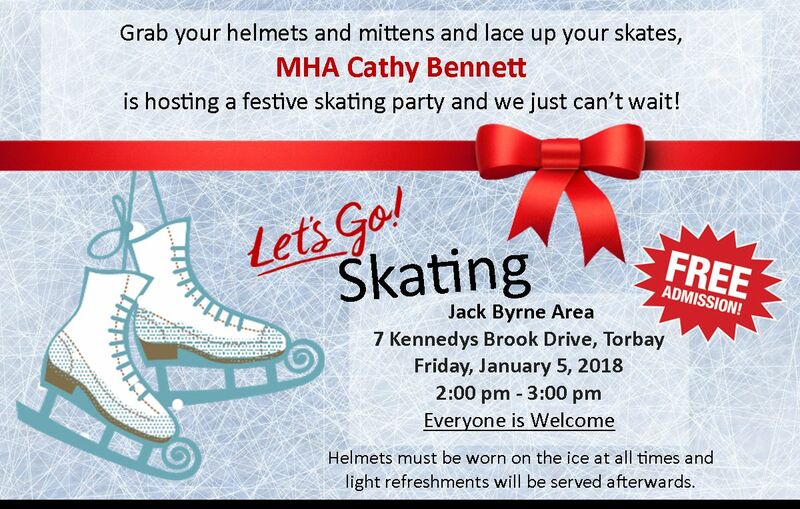 Come out to MHA Caty Bennett’s skating party at the Jack Byrne Arena. Friday, January 5th from 2:00 to 3:00 pm!